If you have been arrested, charged with or are under investigation for a criminal offense, you deserve vigorous and knowledgeable advocates who can build a strong defense on your behalf. Contact us today to schedule your FREE initial consultation. Price & Associates, PLLC is a Redmond based firm whose only focus is helping and defending clients in criminal matters. 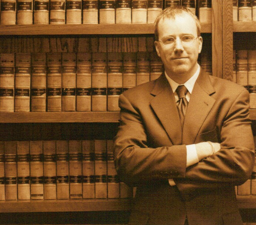 Principle John G. Price provides experienced, attentive and dedicated criminal defense to people throughout the Puget Sound area facing felony, misdemeanor, and gross misdemeanor charges. Since the firm’s sole focus for the last thirteen years has been criminal defense, clients will receive the very best representation from attorneys who are knowledgeable in every aspect of the laws, your specific court, your Judge and your Prosecutor. You need someone on your side who has worked within the system and knows how to get the results you want. You’ve been charged with a crime. What now? The attorney’s at Price & Associates; PLLC understand client’s concerns about avoiding a permanent criminal record and minimizing the penalties of a conviction. As a former King County Prosecutor, John G. Price knows how to help you accomplish these objectives. Although an accomplished trial lawyer, many cases can be successfully negotiated in a way that keeps any conviction off your record and resolved without the need of a lengthy trial. A FREE consultation is all it takes to get started and to have your questions answered.